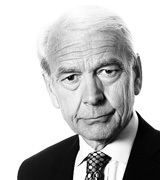 John Humphrys - Sugar Tax: Will It Work? April 06, 2018, 12:41 p.m. The sixth of April doesn’t have quite the same ring about it as the first of January. The beginning of the tax year does not tend to see us making resolutions to live better, healthier lives. But this year the government is trying to do it for us. The new tax year sees the introduction of a wholly new tax, the sugar tax. It is intended to discourage our addiction to sugary drinks which contribute to tooth decay, obesity, diabetes and even cancer. Will this tax stick work, or will it simply add to the cost of living of the poorest people among us, who consume so much sugary drink? No one seriously doubts the harm that excessively sugary drinks can cause. They lead to tooth decay, especially in children: it is the most common reason for children to be admitted to hospital. Public Health England estimates that 39,100 teeth were extracted during 2016/17, just over half of them from children between five and nine: 7,500 were extracted from children under five. But even more seriously they are also held partly responsible for the epidemic of obesity, especially in the young. Obesity itself is the cause of the fast-rising incidence of Type 2 diabetes and is one of the principle causes of various forms of cancer. Public health guidelines suggest that children between four and six should consume no more than the equivalent of five sugar cubes a day; seven to ten year-olds, six; and children over eleven, seven. Yet many sugary drinks contain the equivalent of around ten sugar cubes and many children drink far more than one a day. On average, teenagers are consuming three times more sugar than is recommended. The public health minister, Steve Brine, says that teenagers are consuming ‘nearly half a bath tub of sugary drink a year’. In order to do something about it, the government is following the example of other countries such as Mexico, France and Norway by introducing a sugar tax intended to act as a disincentive to this consumption. For sugary drinks that contain more than 8g of sugar per 100ml, there will be a tax equivalent of 24p a litre; for drinks with between 5g and 8g, the tax will be at 18p a litre. Pure fruit juice (with no added sugar) and sugar drinks that have a high milk content will be exempt. The Treasury initially forecast that the likely revenue from this tax would be around £500m a year and announced that it would spend the money on schools sports and on breakfast clubs. But already it has reduced the forecast revenue by over a half, to £240m. That’s because around half of the producers of sugary drinks have responded to the prospective tax (and also because many feel they can no longer turn a blind eye to the effects of excessive sugar in their drinks) by reducing the sugar content. Irn-Bru has cut its sugar content from 10.3g per 100ml to 4.7g; Ribena has cut it from 10g to 4.5g; and Lucozade from 13g to 4.5g. Coca-Cola and Pepsi have so far made no cut, keeping their sugar contents to be between 10g and 11g per 100ml. The very fact that half of the firms that produce sugary drinks have cut their sugar content is given as evidence of the success of the tax proposal. But it may be too soon to claim complete success. Whilst many experts would accept that a cut to sugar content is likely to have a major impact on the levels of tooth decay, they are less certain about the effect on obesity. In the first place, they argue that reducing sugar consumption may not in itself be sufficient to reverse the obesity epidemic. Other factors, notably increased exercise, are thought to be necessary too. Furthermore, they point out that there are still around half of sugary drink firms that haven’t responded to the tax by reducing their sugar content. It may be that consumption of their drinks will increase if people who like sugary drinks find those whose sugar content has been reduced no longer sufficiently to their taste. And it may turn out that they will be prepared to pay the extra cost of the tax (if it is passed on to them by producers) rather than be deterred from doing so as is intended. Evidence that this may prove the case comes from a research survey done by Mintel which found that only under half of respondents said they would cut back on their consumption of sugary drinks if the price went up. If that turns out to be true, then not only will the tax have partly failed in its aim but it will have burdened some of the poorest people in society (who tend to consume a lot of sugary drinks) with extra costs on their already tight budgets. So is the sugar tax worthwhile? Its defenders argue that it has already proved its worth because of the reaction of half of the industry itself. They add that even if only half of consumers of drinks that still have the high sugar content are deterred from paying the extra cost, then that too will have a beneficial effect. But sceptics argue that the tax will have only a partial effect on the obesity epidemic and that the poor will pay a disproportionate share of the cost of the government wanting to be seen to be doing something.